The robot cars test-driving on California roads seem to need their human overseers less and less. The state on Jan. 31 released reports showing how many miles the companies testing self-driving cars in California logged last year, and how often their engineers had to take control of the vehicles. For some companies, such “disengagements” have become increasingly rare. That’s particularly true of Waymo, the self-driving unit of Google parent Alphabet. Waymo racked up 352,545 miles of autonomous driving last year on California’s public roads — far more than any of its competitors — and recorded only 63 disengagements, or one every 5,596 miles. In 2016, Waymo’s vehicles went 5,128 miles, on average, between disengagements. 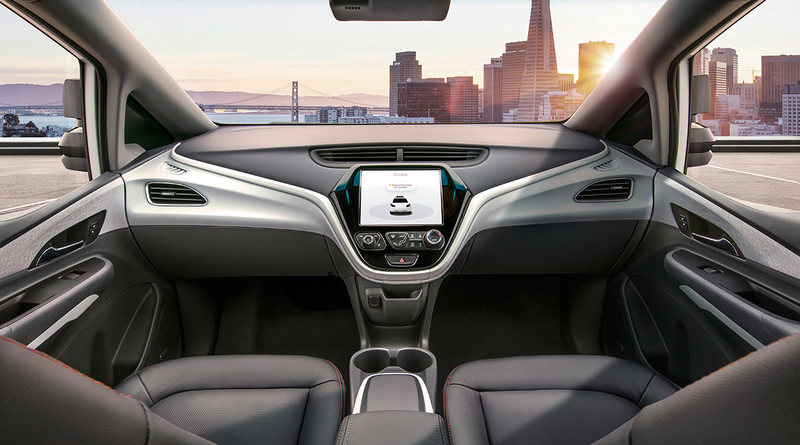 Cruise, the San Francisco startup purchased by General Motors in 2016, showed even more improvement. The company’s self-driving Chevy Bolts drove 131,676 miles on the city’s crowded streets last year and recorded 105 disengagements, or one every 1,254 miles. Compare those results to 2016, when Cruise’s engineers disengaged their cars’ automated controls once every 235 miles. The reports issued Jan. 31 cover only test miles driven on California’s public roads, from December 2016 through November. They do not count testing at facilities closed to the public, such as GoMentum Station in Concord or the former Castle Air Force Base near Merced, where Waymo operates a test track. In at least one sense, the reports are notable for what they don’t show. Several companies filed reports with the DMV stating that they conducted no test drives last year on the state’s roads, even though they logged hundreds of miles in 2016. That includes Palo Alto’s Tesla, which recorded 550 miles of public road testing in 2016 and nothing last year. In a brief note to the department, Tesla explained that it conducts self-driving experiments on test tracks as well as public roads “in various locations around the world.” It also uses “shadow mode,” a system whereby autonomous programming operates in the background on Tesla’s luxury electric cars, making and recording decisions about how to navigate the car even though its human driver remains in control. The cars send that information to the company, which uses it to refine its autonomous programming. “Through all of this data, we are able to develop our self-driving system more efficiently than only by accumulating data from a limited number of autonomous vehicles tested in limited locations,” Tesla’s associate general counsel, Al Prescott, wrote to the DMV on Dec. 31. Similarly, other companies maintain active self-driving labs in the Bay Area but have moved real-world testing elsewhere. Ford, which reported 590 miles of California road tests in 2016, now conducts its tests closer to home, both in the Detroit area and in Pittsburgh, said spokesman Alan Hall. Argo AI, a self-driving startup backed by Ford, is based in Pittsburgh. Uber, which is testing self-driving vehicles in San Francisco, said Jan. 31 it will not be required to file a disengagement report until January 2019. The company briefly tested self-driving ride-hail cars in San Francisco in December 2016 without a permit. After being forced to pull its cars off the road, it applied for and received a permit last spring.